Michelle Lewis graduated from Roosevelt University, Chicago with a Bachelor of Music in Flute Performance. Following graduation, Michelle went abroad to study in London, England. Her teachers include flutists Mary Stolper, principal of the Grant Park Symphony, Kaye Clements, Mary Louise Poor, Jean Berkenstock, former principal of Lyric Opera of Chicago, Richard Graf, assistant principal of the Chicago Symphony Orchestra, and tubist Roger Rocco. Michelle has been a member of the Bensenville/Wood Dale Symphonic Winds for over 30 years. The band has toured and performed throughout Europe including Spain, Italy, Portugal, Germany, Switzerland, and Russia. In addition, the group has recorded four compact discs under the label Deff Records. 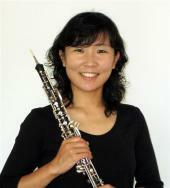 Since 1985, she has been a private flute teacher in the Chicago area and surrounding suburbs. Currently she teaches at York High School, Elmhurst, Thomas Middle School, Arlington Heights, and since 1991 has taught at Schaumburg High School. Michelle is owner of Lewis' Flute & Piccolo Shoppe in Villa Park, a music store catering to flutists, which opened in September 2003. Traveling, gardening, hiking throughout Illinois and Wisconsin, and volunteering for St. Sophia's Forgotten Felines are activities that bring Michelle enjoyment, and on any given evening you can find her settling down with a good book and one of her cats. Gerik Fon-Revutzky, bassoon and contrabassoon, is an active freelancer and instructor throughout Chicagoland, Milwaukee and Indiana. Gerik is the contrabassoonist with Rockford Symphony, Wisconsin Philharmonic, Fox Valley Symphony and Bel Canto Chorus Orchestra. He also regularly performs on both bassoon and contrabassoon with numerous other area orchestras, and is on the sub list of the Milwaukee Symphony Orchestra. Gerik has performed with the Civic Orchestra of Chicago under the batons of Pierre Boulez and Daniel Barenboim. Gerik has toured and performed extensively both nationally and internationally including Russia, Finland, England and Canada. In addition to his busy performing schedule Gerik is also an active teacher. He is currently on the faculty of the University of St. Francis, Joliet Junior College, Music Institute of Chicago, Neuqua Valley High School, Waubonsie Valley High School, Metea Valley High School, Schaumburg High School, Fremd High School, Hoffman Estates High School, Wheeling High School, Maine South High School, and Lake Forest High School. Gerik has given masterclasses at Western Illinois University, CSUSacramento, and Davis High School. During the summers of 2000-2006 Gerik was the bassoon instructor, Assistant Manager and Head Librarian at the Luzerne Music Center. While there, Gerik made his professional acting debut playing the role of the Soldier in Stravinsky’s Le Histoire du Soldat with members of the Philadelphia Orchestra performing. 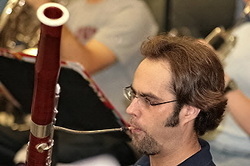 Gerik earned his Bachelor’s degree at California State University, Sacramento in Bassoon Performance with Secondary Emphasis in Orchestral Conducting. While there he performed with the Liberace Woodwind Quintet, a scholarship ensemble, and won the concerto competition with Weber’s Bassoon Concerto. Gerik then went on to earn his Masters degree from Northwestern University in Bassoon Performance with Secondary Emphasis in Contrabassoon and Orchestral Conducting. Gerik’s major teachers have included: Douglas Huff, Susan Willoughby, Steve Dibner, and Robert Barris. As a conductor Gerik has studied with: Leo Eylar, Mariusj Smolij, and Victor Yampolsky. Gerik has also been included in the International Who’s Who in Music and Musicians’ Directory. 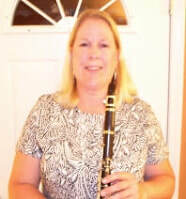 Sally Gerber is an experienced musician who has been teaching private clarinet lessons for 25 years. She received her bachelor’s degree in music education from Augustana College in Rock Island, Illinois in 1982. 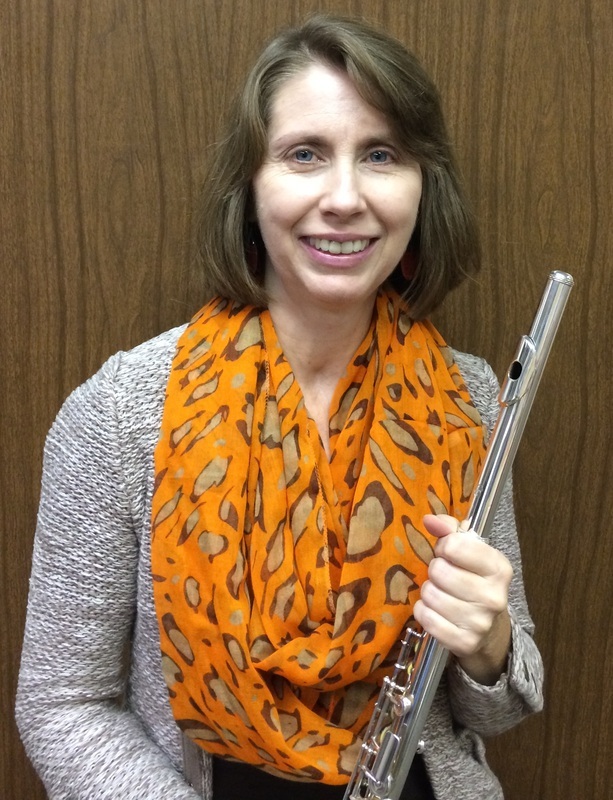 Sally has had a variety of musical experience which include teaching general music K-8th grades, directing and accompanying a children's choir, accompanying for solo and ensemble contests, band directing, leading clarinet sectionals, and teaching private clarinet lessons. Sally also enjoys performing with the Mt. Prospect Community Band and the AHEFC orchestra. Sally works diligently to help her students achieve their musical goals. She hopes that all of her students will continue to love music throughout their lives. Eric Goluszka is a saxophonist and educator in the Chicago area. He is an active performer in a wide variety of genres including traditional and modern classical, jazz, salsa, and an assortment of popular styles. As a soloist, he strives to present a diverse selection of music in his recitals, often juxtaposing avant-garde saxophone works with baroque transcriptions. His command over contemporary techniques (such as circular breathing, multiphonics, and slap-tongue) has influenced the composition and dedication of new works for saxophone. Eric has performed throughout the Midwest United States, Canada, Southern France, Sicily, and Thailand, both as a soloist and as a member of ensembles such as the New Edmonton Wind Sinfonia, Rockford Symphony Orchestra, the Devil’s Own Saxophone Quartet, and Orquesta Energia Salsa Band. In 2003, Eric received a Bachelor of Music degree with a performance emphasis from the University of Alberta, in Edmonton, Alberta, Canada. While there, he studied with renowned saxophonist Dr. William Street and performed in masterclasses for top modern composers and saxophonists such as Gavin Bryars and Jean-Marie Londeix. Eric received a Master of Music degree from DePaul University, where he studied with Susan Cook. His other major teachers have been James Kasprzyk, Matt Olson, Tim Aubuchon, and Jeremy Ruthrauff. Mr. Goluszka is in high demand as a saxophone instructor throughout the Northwest Suburbs of Chicago. His students have received first place medals at solo and ensemble festivals and have been selected for IMEA district and all-state honor bands. 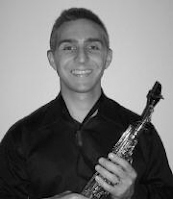 Eric has been teaching saxophone lessons at Fremd and Schaumburg High Schools since 2005, Hoffman Estates High School since 2008, Notre Dame High School since 2009, and Conant and Metea Valley High Schools since 2010. In addition to working with the saxophonists at these schools, he also leads woodwind sectionals at Fremd. Paul Semanic is a member of the Rockford Symphony and the Chicago Bach Ensemble. He has performed with Grant Park, Elgin, Northwest Indiana, Knoxville and Southwest Michigan Symphonies. 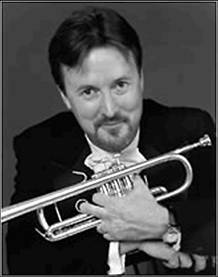 He is the Artistic Director and Principal Trumpet with the Stonegate Brass Quintet and the Brass String Chamber Ensemble. He has been a featured guest solo artist on the WFMT broadcast of the Dame Myra Hess Memorial Concert series and is the Trumpet Soloist each year for downtown Chicago’s “Do-It-Yourself-Messiah”. Paul studied with the world renowned brass section of the CSO (Chicago Symphony Orchestra) while performing with the Chicago Civic Orchestra, the training orchestra with the CSO. Mr. Semanic has taught private trumpet lessons at the University of Tennessee, University of Chicago, North Central College, Benedictine University as well as trumpet lessons and master classes at numerous high schools. Paul also enjoys teaching Tai Chi and Chi Gong (the Science of the Breath) which removes stress and provides an excellent balance of good posture and energy through relaxed deep breathing. This provides a relaxed approach for trumpet performance and teaching. Wanda Braden has been on the faculty of VanderCook College of Music since 2000 teaching the Applied French horn studio. Several of her VanderCook students are now successful music educators in the greater Chicago area and beyond. Wanda has maintained a teaching studio at her home in Bartlett since 1993 helping many students through beginning stages and on to successful college acceptance. Most recently, one of her students of 7 years, played principle horn in the Schaumburg Youth Symphony, was named principle horn of the IMEA All State Honors Orchestra in 2008 and was awarded a scholarship to study music education at ISU. Wanda has been teaching in District 211 schools since 1996 and at Fremd since 1998 and many of her students have continued to study music in college. She is also on the faculty of A & A Music Academy in Hanover Park where she teaches French horn, piano and voice since 1997. She earned a bachelors degree having studied music at the University of Minnesota with additional studies done at the University of Michigan through the Interlochen Arts Camp in Michigan. In Minnesota she studied privately with Priscilla McAfee, priniciple horn of the St. Paul Chamber orchestra. At Interlochen her teachers were Rebecca Root, principle horn of the Rochester Philharmonic and John Jacobsen of the Cleveland Orchestra and John Ceriminaro. In Chicago she has studied with Grace Kang and Daniel Fackler. Wanda has continued to expand her musical education by studying voice with Susan Dennis and piano with Ellen Mosher at Harper College. She has been active as a church musician in her home community of Bartlett. Wanda is currently coprinciple horn of the Manitowoc Symphony Orchestra. She also is a member of the Chicago Symphonic Pops Orchestra and the Harper Symphony Orchestra since 1996. She has appeared regularly with the Rockford Symphony Orchestra, Elgin Symphony Orchestra, Paderewski Symphony, Solid Brass Ensemble and has played numerous musicals for multiple community theatres. She is a member of the Wheaton Municipal Band, considered one of the country's 10 top community bands, since 1996 and has soloed with the Northwest Suburban Concert Band. She is a member of Musicians Union 10-208 and the International Horn Society. She was also a founding member of the Northwest Suburban Horn Club and handles the library for that organization. She is a member of the Bartlett community where she lives with her husband and three children. 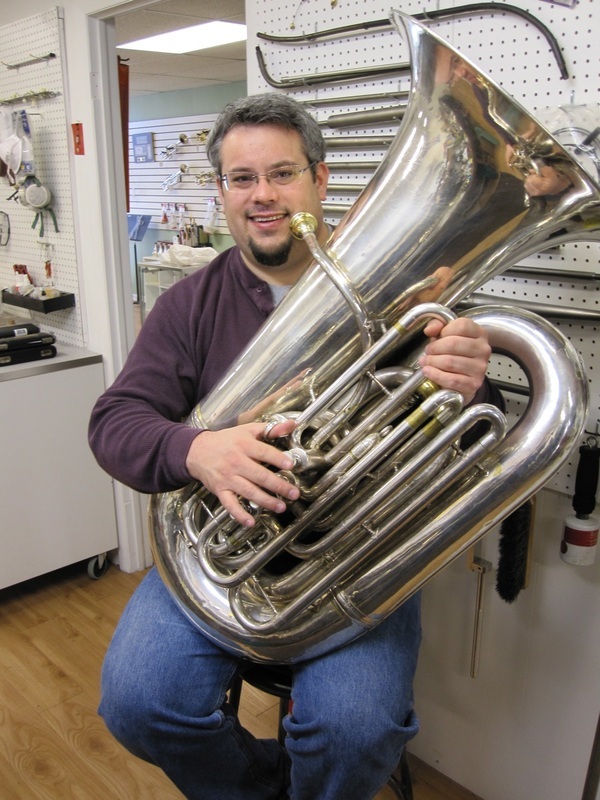 Jim Langenberg is a versatile musician who loves to play the tuba. He earned his MM from Roosevelt University and his BM from Northern Illinois University. Jim is the Principal Tuba of the Dubuque Symphony and has also performed with the Elgin Symphony, Illinois Philharmonic, Rockford Symphony, Peoria Symphony, Green Bay Symphony, Kenosha Symphony, Whiting Park Festival Orchestra, New Philharmonic, and Northwest Indiana Symphony. In addition to orchestral work, Jim is an active chamber musician and regularly performs with the Alliance Brass Quintet. As a member of Mucca Pazza, Jim has performed at the Tour de Fat festival, as well as performing arts centers across the country. In addition, he has also performed with the Chicago Brass Quintet, Alpine Thunder German Band, Big Shoulders Brass Band, and Band Baja Brass. As a teacher, Jim taught for several years at the Blue Lake Fine Arts Camp and maintains a private studio. Jim has been featured as a soloist with the Dubuque Symphony, the Waukegan Symphony, and the Northern Illinois University Philharmonic. Jim’s talents extend beyond low brass. He is the owner of Brazen Bandworks, an instrument repair shop, and resides in Elgin, Illinois, with his wife and twin daughters. Michael Kozakis is an active percussionist in the Chicago area. He plays frequently with the Chicago Symphony and Lyric Opera Orchestras as an extra percussionist. Michael held two one-year positions as a percussionist with the Chicago Symphony Orchestra from February 2005 through June 2007. Michael also plays with other groups including the St Paul Chamber Orchestra, the Chicago Chamber Musicians, MusicNOW, Ars Viva, and has played for TV and radio commercials. As a featured marimba concerto soloist, Michael has soloed with the Chicago Symphony Orchestra and the Rockford Symphony Orchestra. In addition to performing, Michael is on the faculty of DePaul University in Chicago while also teaching privately. Michael received his bachelor’s degree from the Eastman School of Music double majoring in percussion performance and music education. He also received a master’s degree in performance from DePaul University.